Information about previous Terry lectureships, including links to select video of past lectures, can be found by clicking on the headings below. Use the search fields to find lectureships by the name of the lecturer or the year. 2018 | Thomas E. Lovejoy ’63 B.A., ’71 Ph.D.
Thomas E. Lovejoy serves as Senior Fellow at the United Nations Foundation. From 2008-2013 he was the Biodiversity Chair at The H. John Heinz III Center for Science, Economics and the Environment (a non-profit institution dedicated to improving the scientific and economic foundation for environmental policy through multi-sectoral collaboration among industry, government, academia, and environmental organizations). He was President of the Heinz Center from 2002-2008. In 2010 he was elected University Professor in the Department of Environmental Science and Policy at George Mason University. In the past, he served as Chief Biodiversity Advisor and Lead Specialist for the Environment for the Latin American region for the World Bank, as the Senior Advisor to the President of the United Nations Foundation, as the Assistant Secretary for Environmental and External Affairs for the Smithsonian Institution, and as Executive Vice President of World Wildlife Fund-US. He retains his link with the Smithsonian as a Research Associate of the Smithsonian Tropical Research Institute. He was the first to use the term “biological diversity” (l980). 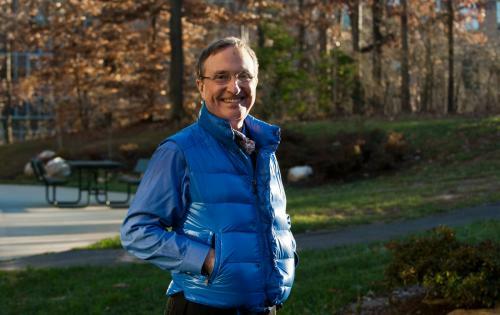 He conceived the idea for the long term study for forest fragmentation until recently the world’s largest experiment in landscape ecology, originated the concept of debt-for-nature swaps, and is the founder of the public television series Nature. From 2008-2013 he served as Chair of the Scientific and Technical Advisory Panel (STAP) of the Global Environment Facility (GEF). He currently serves as Senior Advisor to the current STAP Chair. He received his B.S. and Ph.D. (biology) from Yale University, is past president of the American Institute of Biological Sciences, past chairman of the United States Man and Biosphere Program, and past president of the Society for Conservation Biology. In his 2018 Terry Lectures, Professor Lovejoy draws on the science of environmental challenges and solutions, and explores the importance of values and their potential application to solving environmental challenges and solutions. In his first lecture, “Under a Desert Sky,” Professor Lovejoy explores the complexity of the relationship between people and the environment. Science illuminates the various ways in which we affect the environment, he says, and science can help us consider which ways might be more or less desirable. He explains the gift of blue-green bacteria, and asks “Are planetary boundaries real? And can they inform us about possible choices?” There are multiple ways in which nature nurtures humanity, he concludes, but are there ways—beyond the utilitarian—to value and consequently respect nature? Judith Farquhar is an American anthropologist who studies traditional medicine, popular culture, and everyday life in contemporary China. She has published papers focusing on a diverse range of anthropological areas, including medical anthropology, the anthropology of knowledge and of embodiment, critical theory and cultural studies, and the theories of reading, writing, and translation. Professor Farquhar is the Max Palevsky Professor Emerita in the Department of Anthropology and the College at the University of Chicago, and also serves as the Faculty Director at the University of Chicago Center in Beijing. Before arriving at the University of Chicago, she taught at McGill University and the University of North Carolina at Chapel Hill. She has been invited to give lectures and presentations around the world at universities in China, Australia, Hong Kong, and throughout the United States. Professor Farquhar’s most recent book, Ten Thousand Things: Nurturing Life in Contemporary Beijing (2012) offers a detailed and scholarly exploration of the contemporary life in Beijing and beyond. The book examines the diverse ways of life adopted by contemporary residents of Beijing and how they manage their personal well-being. Her anthropological approach to studying the many facets of contemporary Chinese culture has made significant contributions to the field of anthropological medicine and, more generally, East-Asian studies. She delivered a series of lectures entitled Reality, Reason, and Action In and Beyond Chinese Medicine on September 19, 26 and 27, 2017. These lectures are available on YouTube. 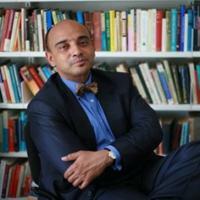 Kwame Anthony Appiah is a Ghanaian-American philosopher, cultural theorist, and novelist whose interests include political and moral theory, the philosophy of language and mind, and African intellectual history. He received his B.A. and Ph.D. at Clare College at Cambridge University. Since Cambridge, he has taught at Yale, Cornell, Duke, and Harvard. Currently a professor at the New York University Department of Philosophy and the New York University School of Law, he delivered a series of lectures entitled The Anatomy of Religion on April 18, 19, and 25 in 2017. Janet Browne is Aramont professor of the History of Science at Harvard University where she teaches the history of biology, including the history of evolutionary theory. Her interests range widely over the life sciences, botany, the history of gardens, collecting, expeditions, museums, and natural history. Currently chair of the History of Science Department, she delivered a series of lectures entitled Becoming Darwin: History, Memory, and Biography on November 3, 5, and 10 in 2015. Wendy Doniger, the Mircea Eliade Distinguished Service Professor of the History of Religions in the Divinity School; also in the Department of South Asian Languages and Civilizations, the Committee on Social Thought, and the College, at the University of Chicago, delivered a series of lectures on The Manipulation of Religion by the Sciences of Politics and Pleasure in Ancient India on October 7, 9, and 15, 2014. Philosophy professor Philip Kitcher delivered a series of four lectures on secular humanism in March 2013. Kitcher, who was born in London in 1947, received his B.A. from Cambridge University and his Ph.D. from Princeton. He has taught at several American universities and is currently John Dewey Professor of Philosophy at Columbia. He is the author of books on topics ranging from the philosophy of mathematics, the philosophy of biology, the growth of science, the role of science in society, Wagner’s Ring and Joyce’s Finnegans Wake. A Fellow of the American Academy of Arts and Sciences, Kitcher was the first recipient of the Prometheus Prize, awarded by the American Philosophical Association for work in expanding the frontiers of science and philosophy. He has been President of the American Philosophical Association (Pacific Division) and Editor-in-Chief of Philosophy of Science. Keith S. Thomson delivered a series of four Terry lectures, “Jefferson and Darwin: Science and Religion in Troubled Times,” in October and December 2012. In the last 300 years, science and religion, however construed, have diverged so much as almost no longer to be recognizable to each other, according to Thomson, a biologist and an historian of science. In his first two lectures Thomson examined the interplay between science and religion in the 18th and 19th centuries, principally in the lives and thoughts of two familiar, but very different intellectual giants, Thomas Jefferson and Charles Darwin. Jefferson, often condemned because he was a deist rather than a Christian, nonetheless was a firm adherent to the principles of Natural Theology and the literal truth of “Genesis,” according to Thomson. Darwin, having been brought up within Natural Theology and having studied to become a cleric, ended up an agnostic. After looking back at both the creativity and contradictions that this engendered, Thomson examined the conflicts between science and religion in contemporary culture. A graduate of the University of Birmingham, England, (B.Sc. 1960) and Harvard (Ph.D. 1963), Thomson has held a number of positions at Yale, including Dean of the Graduate School of Arts and Sciences and Director of the Peabody Museum of Natural History. He is currently Professor Emeritus of Natural History at the University of Oxford and the Executive Officer of the American Philosophical Society. Thomson is the author of more than 200 scientific papers and 12 books, including The Young Charles Darwin, which was published by Yale University Press in 2009 and Jefferson’s Shadow: the Story of his Science (Yale 2012). Other books include Morphogenesis and Evolution (Oxford 1988), Living Fossil (Norton 1991), The Common but Less Frequent Loon and Other Essays (Yale 1993), HMS Beagle, the Story of Darwin’s Ship (Norton 1995 and Phoenix 2003), Before Darwin: Reconciling God and Nature (Yale 2005), The Legacy of the Mastodon: the Golden Age of Fossils in America (Yale 2008). Thomson also has a regular column, “Marginalia,” in the magazine American Scientist. Full of dark matter collapsing the galaxies into being and dark energy accelerating them apart, the evolving universe, according to 2009-10 Terry lecturers Joel R. Primack and Nancy Ellen Abrams, has turned out to be wildly more interesting than the image of an empty space scattered with celestial objects. To the extent that people around the world accept scientific reality, they argue, we have grounds for agreement for the first time on a shared creation story based on modern cosmology and biology. Using astronomical videos, some based on actual observations; others, visualizations of calculations produced by Professor Primack and his team on some of the world’s most powerful supercomputers, the lecturers invite audiences to experience our history and probable future on cosmic scales and, with a clearer understanding of the modern scientific universe, to explore the possibilities for human behavior. Joel R. Primack, Professor of Physics at the University of California, Santa Cruz, specializes in the formation and evolution of galaxies and the nature of the dark matter that makes up most of the mass in the universe. Professor Primack received his A.B. from Princeton in 1966 and his Ph.D. from Stanford in 1970. He was a Junior Fellow of the Society of Fellows at Harvard from 1970-3. After helping create what is now called the “Standard Model” of particle physics, Professor Primack began working in cosmology and became a leader in the new field of particle astrophysics. He is one of the principal originators and developers of the theory of Cold Dark Matter, which has become the basis for the standard modern picture of structure formation in the universe. With support from the National Science Foundation, NASA, and the Department of Energy, he is currently using supercomputers to simulate and visualize the evolution of the universe under various assumptions. With wife Nancy Abrams, Joel Primack has taught a popular course, “Cosmology and Culture,” at UCSC for more than a decade. They are co-authors of the book, “The View from the Center of the Universe: Discovering Our Extraordinary Place in the Cosmos,” published in 2006. 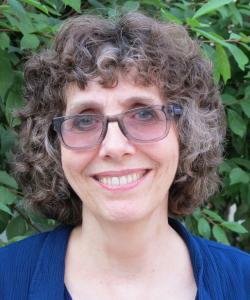 Nancy Ellen Abrams received a B.A. in the history and philosophy of science from the University of Chicago, a law degree from the University of Michigan, and a diploma in international law from Mexico’s Escuela Libre de Derecho. She was a Fulbright Scholar and a Woodrow Wilson Designate. Ms. Abrams has long been interested in the role of science in shaping politics and has worked in this area for the Ford Foundation and U.S. Congress’s Office of Technology Assessment. As a congressional staff member, she helped develop a procedure, “Scientific Mediation,” to help government agencies make wise policy decisions in areas where the relevant science is crucial yet uncertain or controversial. Also interested in science’s border with myth, Ms. Abrams has worked as a scholar to place the discoveries of modern cosmology into a cultural context and, as a writer and songwriter, to communicate their possible meanings at a deeper level. In addition to the book with husband Joel Primack, she has co-authored articles on quantum cosmology and Kabbalah, as well as numerous articles on science policy, space policy, and cultural implications of modern cosmology. Abrams and Primack’s book, The New Universe and the Human Future: How a Shared Cosmology Could Transform the World, published from the lecture, is available at Yale University Press. Ms. Robinson is also the author of Housekeeping, which won the PEN/Ernest Hemingway Award for First Fiction, as well as the Richard and Hinda Rosenthal Award from the Academy of American Arts and Letters. Housekeeping was also nominated for a Pulitzer Prize. Her third novel, Home, was a finalist for the 2008 National Book Award. Ms. Robinson, who currently teaches at the University of Iowa Writers’ Workshop, received a Lila Wallace-Reader’s Digest Writer’s Award in 1990 and the Mildred and Harold Strauss Living Award from the American Academy of Arts in 1998. She is the author of two books of nonfiction, Mother Country and The Death of Adam. Absence of Mind, the book based on her Terry lectures, is available from Yale University Press. Donald Lopez is Arthur E. Link Distinguished University Professor of Buddhist and Tibetan Studies at the University of Michigan and chair of the Department of Asian Languages and Cultures. He has written extensively on aspects of religions of Asia, and his books include Prisoners of Shangi-La: Tibetan Buddhism and the West; The Story of Buddhism; and Buddhism and Science: A Guide for the Perplexed. Professor Lopez also serves as chair of the Michigan Society of Fellows. In exploring the relationship between religion and science, some have argued that among the world’s religions, Buddhism is the most compatible with science. Over the course of his lectures, Professor Lopez examines the origins of the association of the Buddha with modern science, considers what is at stake in that association and suggests new directions for the role of the Buddha in scientific research. Mr. Eagleton’s book based upon his Terry lectures, Reason, Faith, and Revolution: Reflections on the God Debate, is available from Yale University Press. Ahmad Dallal is Associate Professor of Arabic and Islamic Studies and Chair of the Arabic and Islamic Studies Department of Georgetown University. Professor Dallal has taught at Stanford University (2000-3), Yale University (1994-2000), and Smith College (1990-4), having earned a Ph.D. in Islamic Studies from Columbia University and a B.E. in Mechanical Engineering from the American University of Beirut. His academic training and research cover the history of the disciplines of learning in Muslim societies, including both the exact and the traditional sciences, as well as modern and early modern Islamic thought and movements. His books and articles are focused on the history of science, Islamic revivalist thought, and Islamic law. He is currently finishing a book-length comparative study of 18th century Islamic reform entitled Islam without Europe, Traditions of Reform in Eighteen Century Islamic Thought. Professor Dallal arrived in New Haven from Morocco, after having completed a year-long research sabbatical. The book based on Professor Dallal’s Terry lectures, Islam, Science, and the Challenge of History, is available from Yale University Press. An examination of the social and cultural forces that provided the conditions for the formation and development of the Arabo-Islamic culture of science. The Religion and Science Debate: Why Does It Continue? The Dwight H. Terry Lectureship celebrated its 100th anniversary with a two-day conference entitled “The Religion and Science Debate: Why Does It Continue?” Public Broadcasting System journalist Margaret Warner moderated the closing panel of the two-day symposium, a schedule of which appears below. Video of select lectures are available by clicking the highlighted links below. A book based on the conference, The Religion and Science Debate: Why Does It Continue? is available from Yale University Press. Robert Wuthnow has conducted path-breaking research on diverse facets of American religion, including economics, politics, arts, and psychology. Lawrence Krauss is a theoretical physicist with wide research interests, including the interface between elementary particle physics and cosmology, where his studies include the early universe, the nature of dark matter, general relativity, and neutrino astrophysics. He is the author of several bestselling books, including The Physics of Star Trek. Alvin Plantinga is a contemporary American philosopher known for his work in epistemology, metaphysics, and the philosophy of religion. Kenneth R. Miller is a biologist who attempts to reconcile evolutionary theory with Christianity. He was an expert witness in the 2005 Dover, PA, lawsuit challenging a school board mandate to incorporate intelligent design into the curriculum. Ronald Numbers has written or edited more than two dozen books, including The Creationists, Darwinism Comes to America, and Disseminating Darwinism: The Role of Place, Race, Religion and Gender. Margaret Warner is a career journalist who spent ten years at Newsweek magazine before joining “The NewsHour with Jim Lehrer” in 1993. Barbara Herrnstein Smith is Braxton Craven Professor of Comparative Literature and English and director of the Center for Interdisciplinary Studies in Science and Cultural Theory at Duke University. She also holds the position of Distinguished Professor of English at Brown University. After initially training in biology, experimental psychology, and philosophy at City College in New York, Smith attended Brandeis University, where she received her doctorate in English and American Literature. Before joining the faculty at Duke in 1987, she taught at Bennington College and at the University of Pennsylvania, where she held the position of University Professor. Her current teaching and research focus on twentieth century reconceptions of knowledge and science, contemporary accounts of language and cognition, the relations between the sciences and the humanities, and the naturalistic tradition in the study of religion. Professor Smith has authored and edited a number of books and articles on language, literature, and critical theory, including Poetic Closure: A Study of How Poems End (1968), On the Margins of Discourse: The Relation of Literature to Language (1978), and Contingencies of Value: Alternative Perspectives for Critical Theory (1988). Her most recent books are Belief and Resistance: Dynamics of Contemporary Intellectual Controversy (1997) and Scandalous Knowledge: Science, Truth and the Human (2006). Natural Reflections: Human Cognition at the Nexus of Science and Religion, the book based on her Terry lectures, is available from Yale University Press. David Sloan Wilson is Professor of Biological Sciences with a joint appointment in Anthropology at Binghamton University (State University of New York). He is also director of EvoS, a program founded in 2003 that seeks to make evolutionary theory part of the common discourse for all subjects relevant to human affairs and the natural world. Professor Wilson received his B.A. from the University of Rochester in 1971 and his Ph.D. in 1975 from Michigan State University. He originally planned to be an aquatic biologist but soon discovered that evolutionary theory provided a way to study the full pageant of life. His theoretical approach enabled him to conduct research on a diversity of subjects and organisms, from microbes to humans, and to publish in anthropology, biology, economics, philosophy, psychology and religion journals. He is author of The Natural Selection of Populations and Communities (1980), Unto Others: The Evolution and Psychology of Unselfish Behavior (with philosopher Elliott Sober, 1998), and Darwin’s Cathedral: Evolution, Religion, and the Nature of Society (2002). The Literary Animal: Evolution and the Nature of Narrative (with Jonathan Gottschall, 2005) represents an intellectual homecoming for Professor Wilson, as he is the son of novelist Sloan Wilson, author of The Man in the Grey Flannel Suit. Professor Wilson is a past Guggenheim fellow (1986), Vice-President of the American Society of Naturalists (1997), and recipient of SUNY’s Chancellor’s Award for Excellence in Scholarship and Creative Activities (2003). Many of the recent Terry Lectures are available on the Yale YouTube Channel. Select audio and video of previous lectureships are available for free download from Yale University on iTunes U.
Yale University Press maintains a list of publications based on the Terry Lectures.